Wow! Crossroads is Reaching the Disconnected and Growing the Connected! On Sunday November 25th, I shared a message about our growing ministry. In that vision casting message, I mentioned the history of Crossroads. I mentioned that it launched in 2003 with B.H.A.G.s (Big Hairy Audacious Goals). Using Crossroads “Mission Wall” located in the southeast hallway, I gave specific examples illustrating how many of those B.H.A.G.s have been fulfilled through God’s grace. Exciting, right? However, just as exciting, was my sharing of our new five year B.H.A.G.s! These future goals, just like our past goals, are BIG! They are HAIRY! And they are AUDACIOUS! And they will only happen through the power and grace of Jesus Christ! I have set 34 specific goals for the next five years. The Leadership Team approved these goals in October, and we have begun the process of moving forward to accomplish them. We now seek your prayers and help in reaching the accomplishment of these exciting goals. You can listen to most of my November 25th message on the Crossroads Church Facebook page. In that message, you will hear specifics of these plans. By July 2019, we will identify and begin to implement ways to help Crossroads Church grow a “culture of prayer” throughout all its ministries. Beginning fall 2019, we will offer at least one annual women’s retreat\conference\outing and offer at least one lady’s group. Beginning fall 2019, we will offer an annual men’s retreat\conference\outing. By January 2020, we will replace the current 30-year-old worship chairs with between 350 and 375 new stackable worship chairs. By January 2020, Crossroads will offer at least one annual mission opportunity, starting with a trip to Haiti. By January 2020, Crossroads will have a full-time Director of Discipleship. Beginning fall 2020, we will offer at least one LifeGroup opportunity for young singles. By 2021, we will start construction of an addition to the church including a huge youth center, large gathering space (for mid-week and Sunday School to use jointly), double our worship space, seven new classrooms and a large fellowship hall with coffee shop. 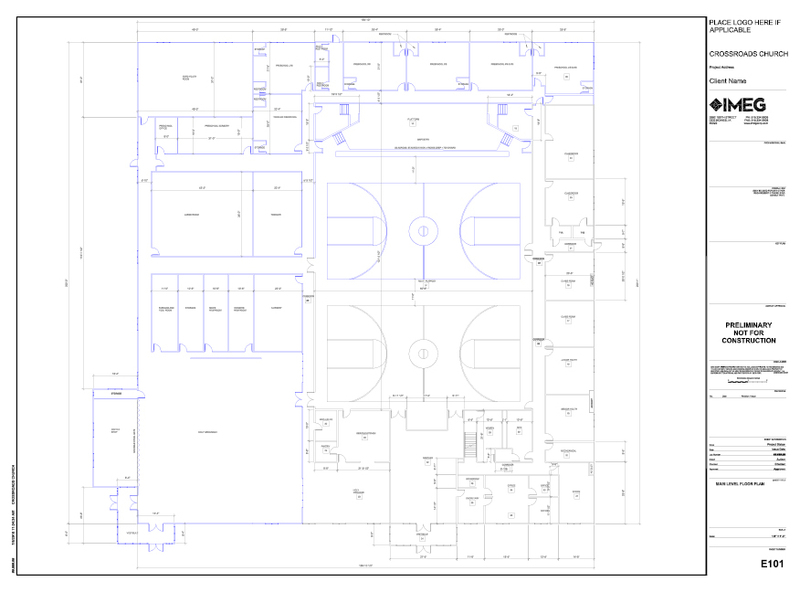 See the conceptual floor plan at the top of this page. 1) PRAISE: Praise God for all that He has accomplished and all that He is going to accomplish through Crossroads. 2) PRAY: Pray for God’s blessing and guidance. 3) PUSH FORWARD: Push Forward by giving generously. As you know, I do not “beg” for money. However, please know that just because I don’t speak about money on a regular basis, that DOES NOT mean that Crossroads does not need your gifts. We need your gifts more than ever to accomplish all of Crossroads Church’s current and future goals. Early Christians left their mark by accomplishing all that God challenged them to do. They spread the Gospel and helped to empty hell and fill heaven. Crossroads Church exists to do the same. I invite you to be a part of that exciting goal as we now look toward our next five years of ministry.